As soon I walked in the corner door of Sweetwater I was greeted by a loud "hello" from the bar. The bartender, Robert, was a very friendly with a big smile on his face. The last time I had been to Sweetwater was when it had been over in the East Sac area, about four years ago. The new location on 19th and S is definitely a nicer spot for grabbing the midtown crowd. Whenever I've been at Safeway across the street I've taken a gander to see people at the bar, so it appears to be surviving quite well. The reviews for the food had been rather mixed, and so will mine be. There were good and there was bad, making it a place that falls into a category of hit-or-miss. I started with the roasted artichoke. The split medium-sized choke arrived perfectly cooked, but oily. A little lighter hand with the oil basting brush would have been in order considering that it comes with a small cup of butter and a small cup of aioli. There was a heavy hand with the aioli as well - too much tarragon. 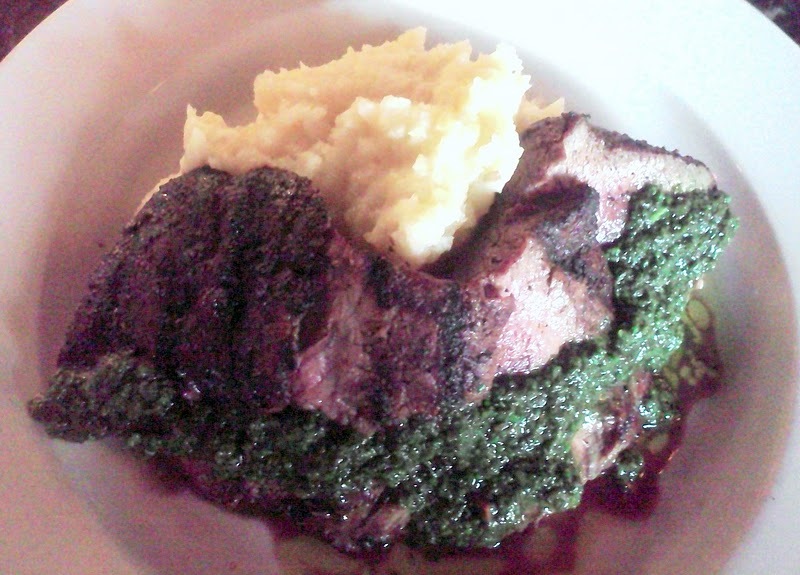 I ordered their Cowboy Steak, a flank steak with chimichurri served with garlic mashed potatoes. This dish I liked. The steak was perfectly cooked to medium rare and sliced against the grain. There were a couple of tough bits, but I forgave that as I enjoyed the sweet chimichurri that graced it. The chimichurri was bright green to indicate the freshness of the parsley and herbs. The mashed potatoes were moist without being mushy and a bit lumpy to prove it was the real thing. The creme brulee was a definite miss and the worst I've had in ages. Although it had a nice hint of lemon, the texture was gritty and pasty. As I said, it was hit and miss. 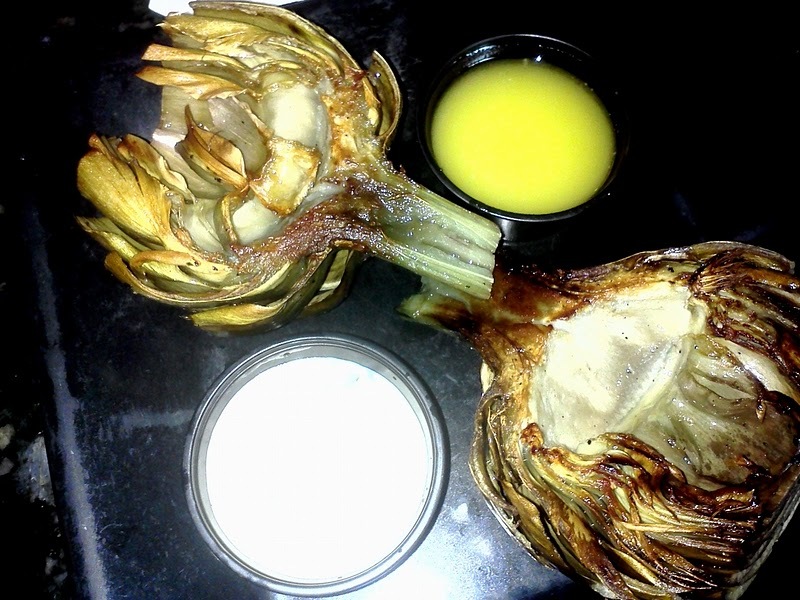 Hit was the steak, miss was the creme brulee, and in the middle was the artichoke. Some have said that Sweetwater is more a watering hole than a restaurant. Perhaps. For a watering hole the food is better than bar food, but for a restaurant it could come up a bit. This was one visit, so it is worth another to give it another chance.